“Community Living Month, Ontario”: See www.communitylivingontario.ca. “National Asian Heritage Month”: See the Vancouver Asian Heritage Month Society www.cic.gc.ca/english/multiculturalism/asian/index.asp. “National Car Care Month”: see the Automotive Industries Association of Canada www.aiacanada.com. “National Celiac Awareness Month”: See www.celiac.ca. “MS Awareness Month”: Multiple Sclerosis is unpredictable, affecting vision, hearing, memory, balance and mobility. See www.mssociety.ca. “Speech and Hearing Awareness Month, North America. See www.caslpa/english/resources/maymonth.asp. May 1 “May Day”: Observed as a holiday since ancient times with Spring Festivals, Maypoles and celebrations. But the political importance of May Day has also grown since the 1880’s when it became workers day in the U.S. Observed as Labour Day in many countries. Bermuda, Canada and the US are the only countries that observe Labour Day in September. May 1-7 “Emergency Preparedness Week”: This is an annual event coordinated by the provinces and territories. This year’s theme is Plan, Prepare, Be Aware. See www.getprepared.gc.ca. May 2 “Brothers Day”: Celebration of brotherhood for biological brothers, fraternity brothers, brothers bonded by union affiliation or lifetime experiences. For info: Daniel Rhodes. Phone 205-908-6781, email rhodan@charter.net. May 4 “Star Wars Day”: May the Fourth be with you. May 6 “Belonging: National Day to End Bullying”: This annual event is put on by the Boys and Girls Clubs of Canada. See www.bgccan.com. May 5 “Cartoonists Day”: To honour all those who use their imagination and a few pens to bring their ideas to life and give us a laugh via the daily paper, magazines, TV and the movies. Call Polly Keener 330-836-4448 or e-mail hamsteralley@aol.com. May 6 “No Diet Day”: A day to stop dieting and stop hazardous weight-loss attempts. Find out the 10 reasons not to diet by emailing Francie Berg at fmberg@healthyweight.net (please put “Berg-No Diet Day” in subject line). Web www.healthyweight.net. May 6 “Free Comic Book Day”: Each year, independent comic book stores around the world give out free comic books to children. Call Diamond Comic Distributors 410-560-7100. See www.comicshoplocator.com. May 6-13 “Children’s Book Week”: An annual event sponsored by the Children’s Book Council to encourage the enjoyment of reading for young people. Call 1-800-999-2160, email info@cbcbooks.org. See www.bookweekonline.com. May 7 “MS Walk”: The WALK is a critical part of the MS Society’s fundraising efforts and is a significant program in funding research towards a cure for Multiple Sclerosis. Takes place in cities across Canada. See www.mswalks.ca. May 8 “World Red Cross Day”: A day for commemorating the birth of Jean-Henri Dunant, the Swiss founder of the International Red Cross Movement in 1863, and for recognizing the humanitarian work of the Red Cross around the world. For info on activities in your area, contact your local Red Cross chapter. See www.redcross.ca. May 10 “Stay Up All Night Night”: A night when people are encouraged to stay awake through the night, reliving the excitement of staying up late as a child. There is something incredibly satisfying in staying up to see the sunrise – and everyone should do it at least once a year. Annually, the 2nd Saturday in May. For info, email George Mahood at george@georgemahood.com. May 12 “Canada Health Day”: See www.cha.ca. May 12 “Limerick Day”: Observed on the birthday of a Limerick champion called Edward Lear. He published a book of Limericks in the 18th century call Edward Lear’s Book of Nonsense. Lots of limericks at http://home.earthlink.net/~kristenaa/. May 12-22 “Canadian Tulip Festival”: The world’s largest festival with more than 3 million tulips in bloom in Ottawa. The event grew out of a thank-you gift of bulbs from the Dutch Royal Family. Call 613-567-5757 or 1-800-66-TULIP. Email info@tulipfestival.ca. Web: www.tulipfestival.ca. May 13 “National Babysitter’s Day”: To give babysitters appreciation and special recognition for their quality child care. Call Barbara Baldwin 210-695-9838, email bbaldwin@satx.rr.com. See www.safetywhys.com. May 13 “Mother’s Day”: The second Sunday in May. The first celebrations in honour of mothers were held in the spring in ancient Greece. They paid tribute to Rhea, the Mother of the Gods. In 1907 Anna Jarvis in Philadelphia, PA asked her church to hold a service in memory of all mothers on the anniversary of her mother’s death. She later began a letter-writing campaign to create a Mother’s Day observance. May 14-20 “Salute to 35+ Moms Week”: Motherhood is challenging at any age, and if you become a mom when you’re 35 or older, it can be quite an adjustment. For info, email Robin Gorman Newman at rgnewman@optonline.net. See www.motherhoodlater.com. May 18 “International Museum Day”: To pay tribute to museums of the world. Observed annually on May 18 since 1977. For info call Canadian Museums Association 1-888-822-2907 or email info@museums.ca. May 22 “Victoria Day”: Commemorates the birth of Queen Victoria on May 24th 1819. It is a national holiday in Canada. Observed on the first Monday preceding May 25th. May 25 “National Missing Children’s Day”: To promote awareness of the problem of missing children. Toll Free Hot Line Number 1-800-387-7962. See www.childfind.ca. May 29 “Memorial Day (US)”: Legal public holiday in the United States, in honour of those who have died in battle. 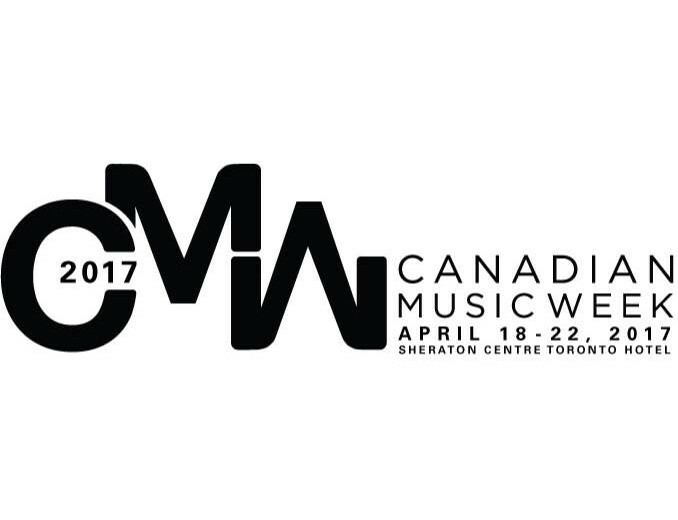 I was looking forward to this event at Canadian Music Week. I noticed that Alan Burns and Hal Rood were presenting the analysis of the research they had collected. I know them both by name and by reputation and respect their work. I had expected that by event time more people would be added to the presentation and discussion. The findings of the research might have been fascinating, but as the minutes ticked by, the voices in my head started to drown out the voices of the two men delivering the information. With not a woman on the stage, with not a woman referred to as part of this research and its analysis, with not so much as a nod to the ‘mansplaining’ environment and its obvious awkwardness; my frustration with the situation only grew and the distillation of the information was lost. This is not a rant on political correctness. I’m not talking about outdated language, or a silly oversight that needs correction. It’s worse than that. This is an industry that I love, one that can be so creative, progressive, responsible and educated, and yet, one that allowed a panel entitled “What Women Want” to exist and didn’t even think about addressing the obvious dichotomy. It’s just so incredibly tone deaf and out of step. Radio, you can disappoint me so. Flip the script. Would it be wrong to have a panel called “What Men Want” and have the presenters be all female? No. The phrase “What Men Want” is not a damaging stereotype. Men are not a visible minority. Men do not have a history of being “taken care of” and “told what to do”. Having only men on the stage discussing “What Women Want” perpetuates an ugly stereotype and it reinforces to all the professional women in the room (which looked to be about 50%) that no matter how hard you try, men are still the ones in the driver’s seat. Fix the attitude and generate an authentic platform for this info. What do women want? Can’t tell you what that research said about female listeners. But I can tell you what the women in this industry want – inclusion, representation and equality. To all the men and women up and down the line who didn’t see this seminar as problematic, gender bias can happen even when you think you are doing the right thing. Just put one woman up there with credentials presenting the same stuff and I’d nod my head and agree. It would feel inclusive and interesting. All you need to do is fix the optics and you’ll get all the low hanging fruit like me. Even if you don’t get it, just pretending that you do would be appreciated. Sharon Taylor is a radio consultant at ByrnesMedia and is the first to admit that she has no idea what anyone wants. Nonetheless, she is woman hear her roar at sharon@byrnesmedia.com. How is this for a radio station giveaway? Kyle and Jackie O from Kiss FM in Sydney Australia are promising to give away a Hyundai i30 car to every caller who gets on their morning show on May 19th. At this point they are not revealing how many new cars they will giveaway on the 19th but they are billing it as the biggest radio car giveaway ever. The 60 second tease spot has been released and you can see it here. Every KJ Caller Wins A Car!